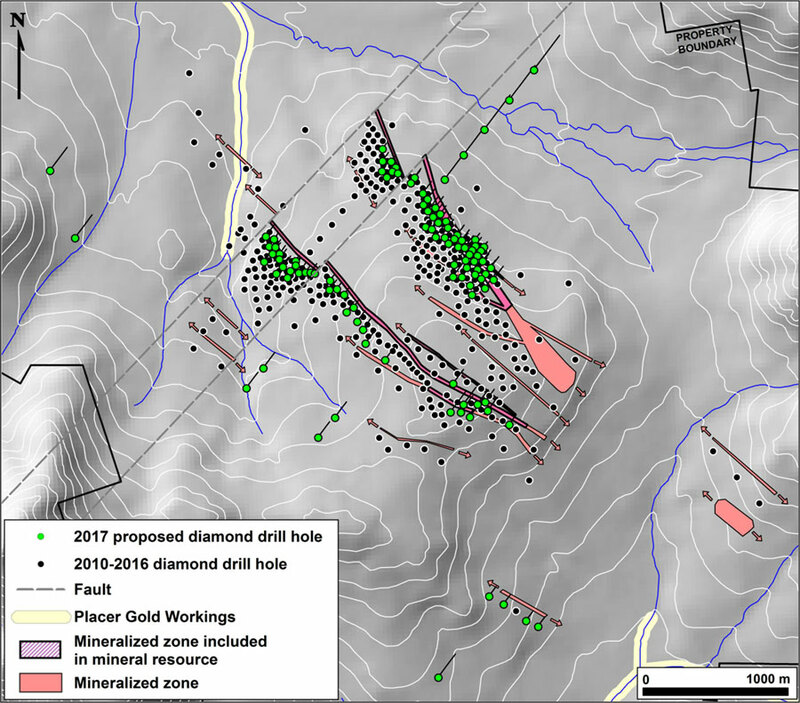 June 28, 2017 - Rockhaven Resources Ltd. (TSX-V:RK) (“Rockhaven”) is pleased to announce details of the 2017 exploration program at its 100% owned and road accessible Klaza property, located in the Dawson Range Gold Belt of southern Yukon. 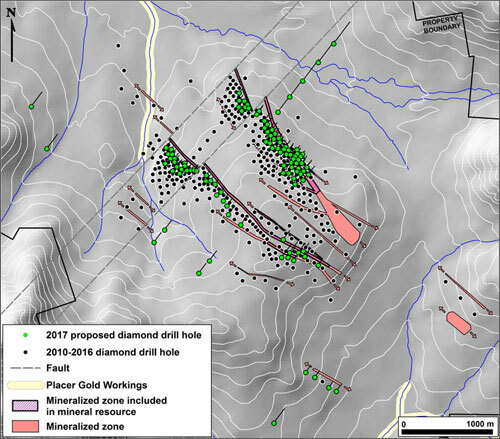 The work program has commenced and will include 16,000 m of diamond drilling, geophysical surveys, soil geochemical sampling and metallurgical test work. Collection of material that will be used in advanced metallurgical and pre-concentration test work to optimize processing, reduce costs and lower cut-off grades. Initial test work done in 2016 has shown that pre-concentration has considerable promise. A map showing the proposed program can be viewed on the Rockhaven website www.rockhavenresources.com. 11,400,000 non-flow-through shares at $0.18 per share, for total consideration of $2,052,000. Coeur Mining, Inc. (NYSE:CDE) subscribed for all of the non-flow-through shares in the first tranche of the financing. Rockhaven paid cash finders’ fees totaling $82,700 and issued a total of 388,500 finders’ warrants in connection with the closing, distributed among EMD Financial Inc. of Montreal, Quebec, Canaccord Genuity Corp. of Vancouver, British Columbia, and EDE Asset Management Inc. of Toronto, Ontario. Each finder’s warrant gives the holder the right to purchase one share of Rockhaven for 12 months at a price of $0.20. All of the securities issued pursuant to this private placement, including any shares issued pursuant to the exercise of any of the finders’ warrants disclosed herein, will be subject to a four month hold period expiring on October 15, 2017. Rockhaven expects to close a second, final tranche in respect of this financing in the coming days. The 2017 program will be managed by Archer, Cathro & Associates (1981) Limited (Archer Cathro). Technical information in this news release has been approved by Matthew R. Dumala, P. Eng., a geological engineer with Archer Cathro and qualified person for the purpose of National Instrument 43-101.